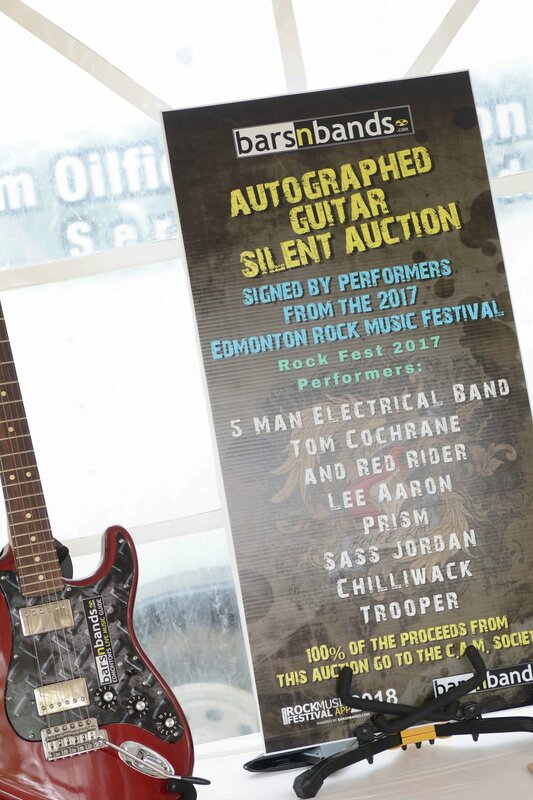 Chris Wilson made the final bid of $3025 this year for a one-of-a kind autographed guitar signed by musicians from last years Edmonton Rock Music Festival. Proceeds go to support the Centre for Arts and Music. Guitar was auctioned off via Silent Auction format over the two day Festival. Auction close to bidders when Los Lobos hit the stage on Saturday Night.